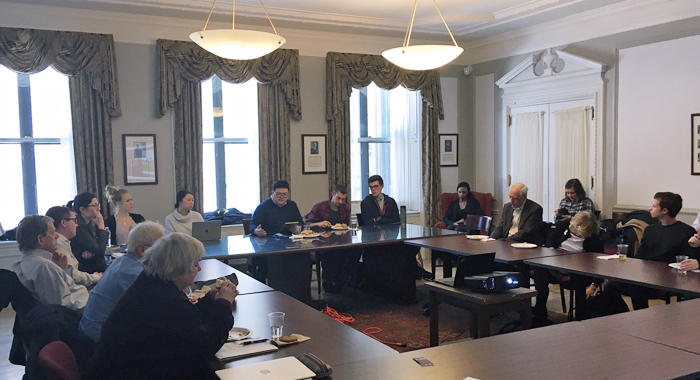 On March 19, 2019, the RGHL hosted a lunchtime seminar delivered by Michael Da Silva, Postdoctoral Fellow in the Faculty of Law and the Institute for Health and Social Policy at McGill University. His talk explored whether the Canadian federal government should take an increased role in standardizing health care coverage across Canada. If the federal government increases its role in health, however, this may be inconsistent with the recognition of sub-constitutional nations-within-nations (particularly Quebec and Indigenous nations) in Canada. 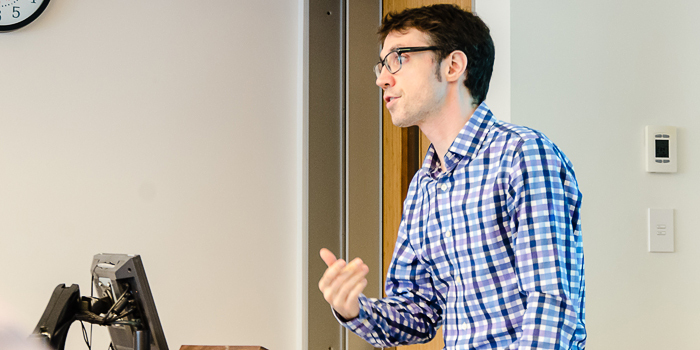 The McGill Research Group on Health and Law hosted a lunchtime seminar delivered by Jonas-Sébastien Beaudry, Assistant Professor of Law at McGill University (joint appointment with the Institute for Health and Social Policy). He explored the definitional challenges raised by the category of “disabled people” and the importance of the category’s conceptual breadth given its potential to influence public policies, culture and interactions, by suggesting what rights, duties and social expectations disability entails. (Read the full abstract). The Games We Play: What Should Law and Policy do About Youth Playing Collision Sports? The Research Group on Health and Law hosted a lunchtime seminar delivered by Jason Chung (BCL/LLB'14), faculty member of NYU’s Tisch Institute for Global Sport, senior research scholar at NYU’s Sports and Society Program, and co-founder of “The Deductible.” Jason Chung outlined how media narratives have inaccurately portrayed conflicting research regarding the prevalence of sports-related neurodegenerative conditions, such as chronic traumatic encephalopathy (CTE), among the general population and how this is impacting law-making, policy and legal decisions across North America. Read the abstract. 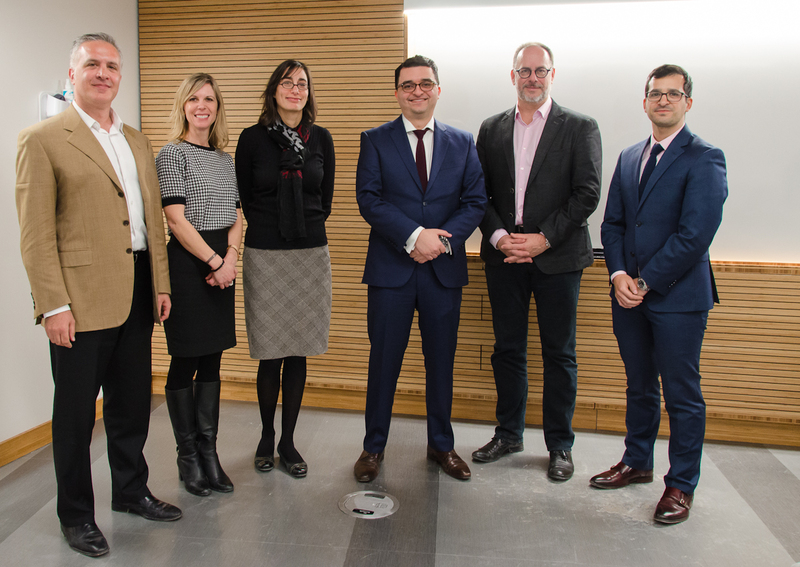 Associate Dean (Graduate Studies) Richard Gold, external examiner Prof. Mélanie Bourassa Forcier, Prof. Lara Khoury (supervisor), M'an Zawati, Prof. Daniel Jutras, and Prof. Ignacio Cofone. 14 January 2019: the Research Group is pleased to announce that doctoral candidate Ma'n Zawati (3rd from right), successfully defended his thesis, “Of Research Participants and Population Biobanks: Reciprocity as a Conceptual Basis to Relational Autonomy”, which was written under the supervision of Professor Lara Khoury. 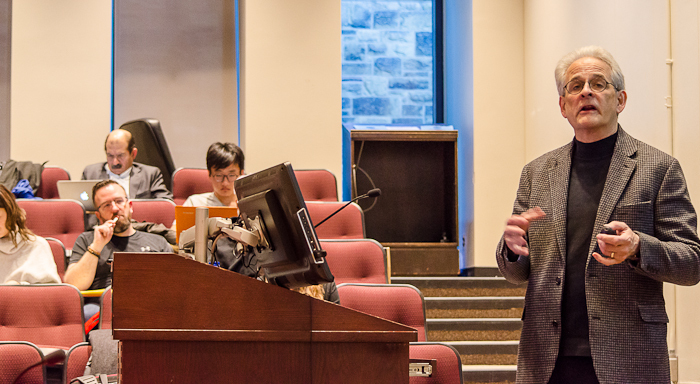 The McGill Research Group on Health and Law was pleased to host Jonathan Kahn, Professor of Law at the Mitchell Hamline School of Law, for its Annual Lecture. His talk, entitled Pills for Prejudice: Implicit Bias and the Perils of Biologizing Racism, critically evaluated trends that may reduce understandings of racism to a mere biological phenomenon of mental health to be addressed primarily through individualized biomedical interventions – rather than as a social problem for which the entire polity bears responsibility. Jonathan Kahn is the James E. Kelley Professor of Law at the Mitchell Hamline School of Law. He holds a Ph.D. in U.S. History from Cornell University and a J.D. from the Boalt Hall School of Law, U. of California, Berkeley. 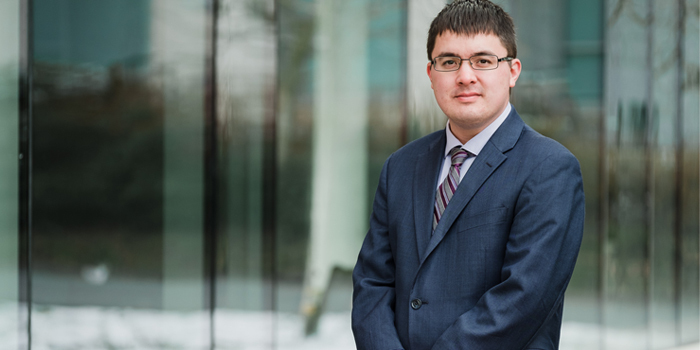 His current research focuses on the intersections of law and biotechnology, with particular attention to how regulatory mandates intersect with scientific, clinical and commercial practice in producing legal understandings of race and racism in American society. He is the author of Race in a Bottle: The Story of BiDil and Racialized Medicine in a Post-Genomic Age (Columbia University Press, 2012). His newest book is Race on the Brain: What Implicit Bias Gets Wrong About the Struggle for Racial Justice (Columbia University Press, 2018). The Research Group in Health and Law welcomed Me Louis Letellier de St-Just (Cactus Montréal), Caroline Hosatte-Ducassy (MUHC resident) and Dr. Nicholas B. King (McGill Biomedical Ethics Unit) for a conversation about the health, social and legal issues surrounding the opioid epidemic, as well as possible steps to deal with this crisis moving forward. RGHL convener Lara Khoury and RGHL member Yann Joly participated in the 20th Congress of the International Academy of Comparative Law July 22-28, 2018 in Fukuoka, Japan. Professor Khoury participated in a panel with Professor Adelle Blackett on the “Legal Aspects of genetic testing regarding insurance and employment”. Health issues are at the forefront of modern social preoccupations in Canada. McGill’s Faculty of Law offers an array of opportunities for those who seek to explore these issues through academic study and research. Public health, aging, health and the environment, biotechnologies, global health, the growing prevalence of obesity and other chronic health conditions and illnesses, HIV/AIDS and the spread of infectious diseases, access to health care institutions and technology, the governance of health care institutions, human rights and health, clinical research and the protection of human research subjects, social diversity and health, and Aboriginal health exemplify topics of preeminence in the minds of Canadians that McGill’s Faculty of Law has also identified as priorities. McGill’s Faculty of Law has a strong tradition in health law. Emeritus Professor Paul-André Crépeau (1975-1994) published a seminal work titled La responsabilité civile du médecin et de l'établissement hospitalier in 1956, which contributed in a major way to the development of Medical Law in Quebec. It houses the Centre for Medicine, Ethics and Law, founded in 1986, whose founding director, Margaret A. Somerville, was a prominent scholar in Bioethics. 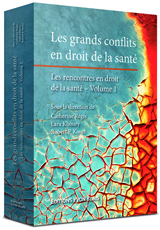 The Crépeau Centre for Private & Comparative Law, founded in 1975, also demonstrates the Faculty’s commitment to health law through, inter alia, the work of Me Pierre Deschamps C.M., Project Director - Medical Law and the Ethics of Research and Organisations. 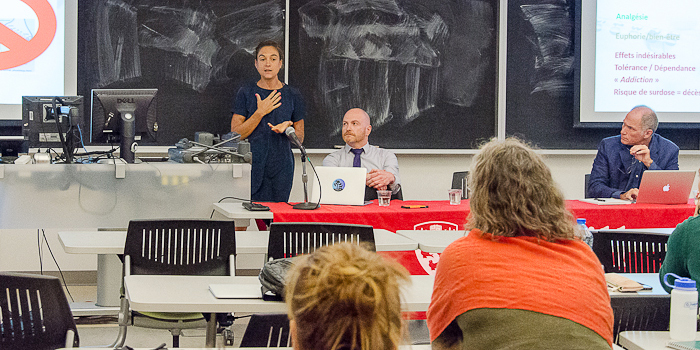 McGill University and its Faculty of Law offer an exceptional and unique space for transsystemic, comparative and pluridisciplinary pedagogy and scholarship on health law matters. A number of courses that address health law and policy questions are offered to our undergraduate and graduate students. Several colleagues also act as supervisors to graduate students working on projects that deal with issues of health and medical law. 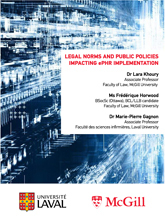 Health research initiatives underway at McGill’s Faculty of Law investigate diverse themes of pressing importance within both academic and societal realms. The Law Faculty is also host to various research centres which oversee work bearing a direct impact on health issues. 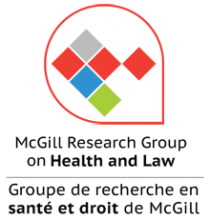 In recognition of the growing importance of this discipline, the McGill Research Group on Health and Law was formed with a view to advancing health law research within the Faculty of Law. Students at McGill Law are also at the core of the Faculty’s commitment to teaching and research in the area of health law. The Faculty-wide enthusiasm for health law studies is demonstrated by student initiatives such as the McGill Journal of Law and Health. 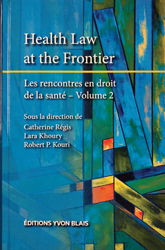 "En juin 2017 avait lieu la deuxième édition des Rencontres en droit de la santé/Health Law Academic Seminars sous le thème Health Law at the Frontier/Le droit de la santé aux frontières. Quatorze spécialistes canadiens et étrangers se sont réunis pour explorer le thème de la frontière en santé, qu’elle soit géographique, sociale ou technologique. Ce volume regroupe les textes de leurs conférences." "En novembre 2014, des chercheurs canadiens, suisses et français, provenant du milieu universitaire et professionnel, se sont réunis autour du thème « Les grands conflits en droit de la santé ». Ces chercheurs étaient invités à identifier un conflit d'actualité et significatif afin d'en discuter de manière approfondie et collégiale. Des sujets aussi riches que variés ont été abordés à cette occasion et sont ici réunis dans ce volume."